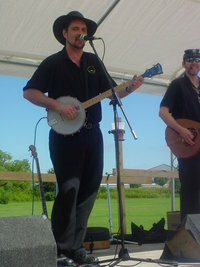 Kelly Ganier is the leader of Irish band Another Pint and supplies banjo and harmonica to the group. He has enjoyed folk music his entire life and enjoys bringing the love of the music to everyone he meets. He has been performing as a professional entertainer since 1995 and has performed throughout the United States. Kelly is a veteran of Desert Storm and brings his well-learned discipline to Another Pint. 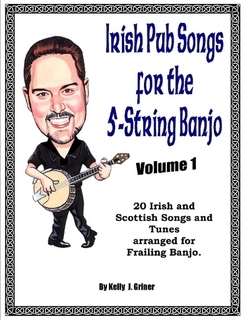 He also compliled and published a songbook of Irish and Scottish pub songs arranged and tabbed for frailing banjo called "Irish Pub Songs for 5-String Banjo Volume 1.